Reports of a company using fake water testing techniques as part of their sales pitch for water purification systems has once again surfaced, this time in a community called Port Hope, Canada. Apparently the company’s sales representatives use chemical trickery to demonstrate how (usually elderly) homeowners’ water desperately needs remediation — in the form of a $3,500 water purification system. Then, if the in-home water testing trick does not work, the sales representatives allegedly resort to good old fashioned bullying until the homeowners agree to buy a water purification system. PORT HOPE – There appears to be a water scam happening in town again, says Ed Symons, Water Distribution Supervisor for the Municipality of Port Hope. “We seem to have to deal with this issue every year lately,” he said. He says elderly people are telephoned and told they should have their water tested, then set up appointments and try to convince them that their water is unsafe to drink. 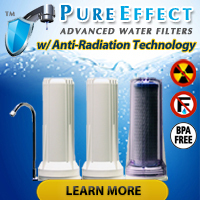 They use “very persuasive selling tactics” to pressure them to purchase a $3,500 water purifier from their company. 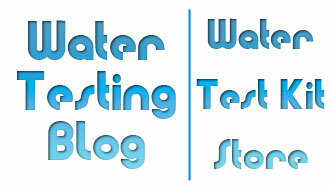 All of us here at Water Testing Blog hope law enforcement officials in that are catch up with the con artists responsible for these phony water testing sales techniques and throw them under the dirtiest, most wretched jail in the region… giving them only unfiltered, dirty sewer water to drink. First of all, make sure the company whose sales pitch you will entertain sells quality, reputable water purification systems. Whenever possible, see if the company sells water filters bearing NSF Mark and/or the WQA Gold Seal, as the technologies in those filtration systems will have passed third-party inspection by recognized organizations in the water quality community. Next, never go into the meeting with a sales representative without first doing some homework on your water because the water filter company’s representative makes money based upon the size and dollar value of the water purification system you buy. Arming yourself with simple water quality knowledge can stop you from unknowingly buying too ‘large’ a system and spending money unnecessarily. 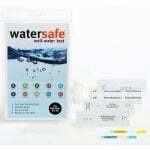 By simply testing your water with a do-it-yourself water test kit such as the WaterSafe All-in-One Water Quality Test Kit or the SenSafe Water Quality Test Kit before meeting with a sales rep you may have the ability to see through a water purification con artist’s game if they try to say your water contains things or has characteristics that you know it does not. An honest water purification system representative will not need to con you. The merits of their product line will speak for themselves and you will have the opportunity to purchase the correct system for your water quality situation.